We bring creative engagement, placemaking, communications and planning to communities and organizations across North America. Every five years, all states are required to look hard at their biggest natural threats - floods, fires, ice, earthquakes - and how they can mitigate, or reduce the impacts from those hazards. Most of the time, those hazard mitigation plans are hefty documents written by and for government. We're collaborating with the Vermont Division of Emergency Management and Homeland Security to make Vermont's next Hazard Mitigation Plan very different. 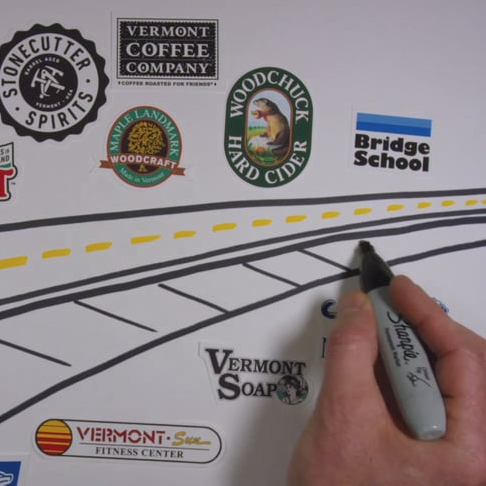 We're creating a stakeholder engagement process to draw in the full range of people and groups who will be impacted by this plan and who can play a role in making Vermont safer and better prepared. Middlebury, VT's Exchange Street is a bustling junction, home to dozens of entrepreneurial business, local food producers, service providers and more. But you'd never know it to visit - they are isolated islands on a dangerous industrial strip. We led a team - finalists in the Art Place America competition - to create an arts-based engagement and design process that would transform Exchange Street into a safe, connected and vibrant place. Revitalizing a downtown usually takes many years, many plans, and many thousands of dollars. But what if you could do it in a weekend? 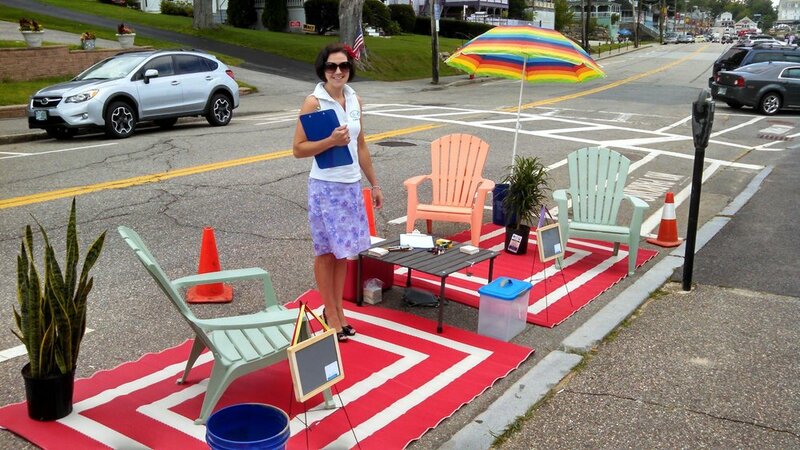 We're collaborating with the Bethel Revitalization Initiative, Team Better Block and AARP of Vermont to temporarily transform Bethel, VT's Main Street into a vibrant, walkable, livable space. This community-driven project builds enthusiasm, tests out permanent changes, and shows the community what real change can feel like. Bethel University is the only free community pop-up university of its kind. For one month each year, anyone can take - or teach - classes on any topic under the sun. With more than 800 registrations in just its third year, "BU" has brought new life and momentum to a small town - and visitors from dozens of towns. We've collaborated with the Bethel Revitalization Initiative to create and grown this one-of-a-kind community development program. Richmond, Vermont has it all - great schools, beautiful landscapes, convenient location and close community. But Richmond residents want to be proactive in protecting and enhancing their community, and they saw their town planning process as an opportunity. We helped the town gather more than 1,000 pieces of feedback, create a broadly-supported community vision, and learn how to use that vision to make decisions about the future. Ontario's AZA First Nation is widely dispersed and needed to find common ground. In collaboration with our partner organization EcoPlan International, we led an award-winning strategic planning process to engage the community and develop a village design for newly acquired land. Master plans can be a lot more than just documents that sit on a shelf. We worked with the city of Laconia, NH to ensure their planning process brought new people to the table and broke through old barriers. Their Heart & Soul Community Planning approach used everything from storytelling to pop-up parks, text polling to interactive forums. Together, the community ensured that Laconia's next plan is a plan for the people, by the people. Like many older New England Towns, Gardiner, ME needed a boost. It found that boost with a creative community development process and new local coordination. Through the Orton Family Foundation, we coached Gardiner through a community visioning and planning process that brought new energy to the city, helped coordinate the actions of local non-profits and city departments, and helped residents start working as a team. Winner of the 2015 Canadian Institute of Planner’s Award for Planning Excellence in the category of Aboriginal Community Planning and Development. With our partner organization EcoPlan International, we worked with this community on Vancouver Island to develop new plans for improving mobility, transportation systems, streetscape and pedestrian facilities, priority actions and strategies for implementation. Libraries, churches and many other community institutions are reinventing themselves today - finding new ways to connect with the larger community, partner with other groups, and make use of their facilities. We're working with this historic church in Vergennes, VT and Partners for Sacred Places to conduct a community asset mapping process, identifying what they church can offer the community and how it can best change with the times. The towns of Vermont's Mad River Valley know that rivers don't care about municipal boundaries. They're collaborating as a watershed to increase awareness of stormwater and runoff issues and take action to improve their resilience. We're helping them to develop a creative, high-impact communications and engagement plan that will reach residents and change behavior. The focus is a new, integrated program called "Storm Smart" that will help the whole community protect their property, safety, watershed, and quality of life. There’s no way to prevent disasters like Irene. But a new statewide pilot program – Community Resilience Organizations (CROs) – aims to make sure that Vermont towns are ready for whatever comes next. CROs brings together community leaders across multiple disciplines to plan and work together and build social capital. We're helping to design the program and capacity building activities to help towns prepare for whatever challenges are ahead. The Resilient Vermont Network is a new collaboration of organizations and agencies in Vermont that are working to advance climate resilience. The Network is working to improve alignment, coordination, communication and strategic impact across a range of issues related to climate resilience. We're coordinating the Network - helping to build bridges between diverse stakeholders, create high-impact events and trainings, and increase awareness of this critical state issue.